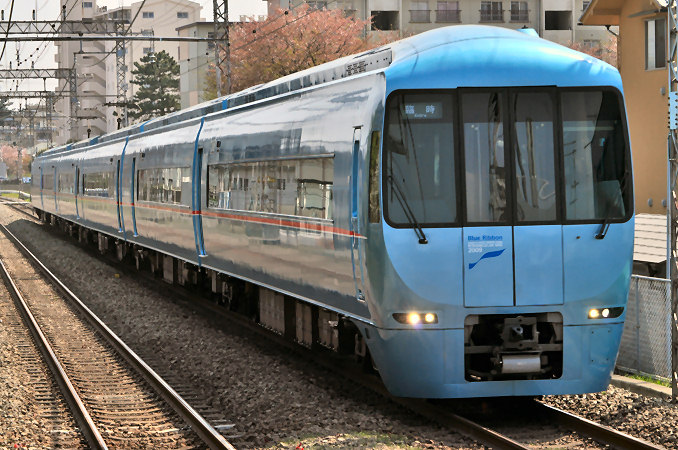 The slant nosed end car of the 60000 Series "MSE"
The 60000 Series is a limited express-type electric multiple unit designed by Odakyu to operate on both the Odawara Line and the Tokyo Metro Chiyoda Line. Commonly known as the "MSE" or, Multi Super Express, the 60000 Series is an unusual limited express. 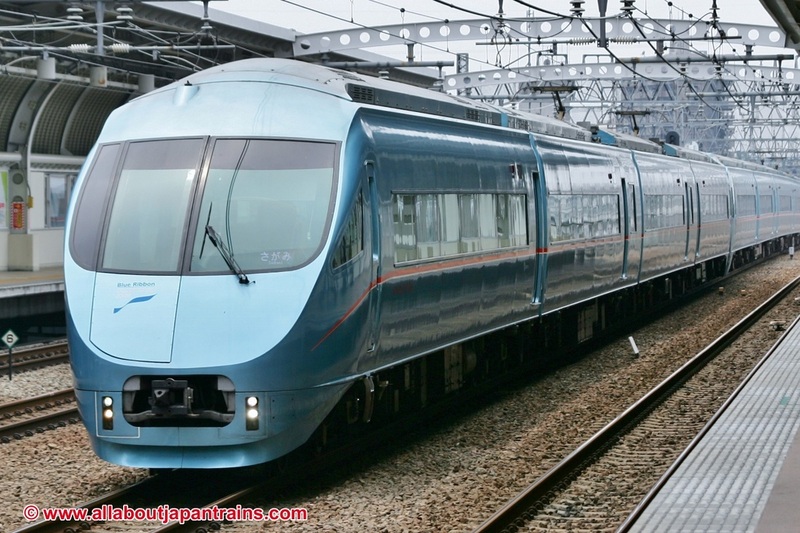 It's the first Japanese train of its type to be able to operate on subways. This allows the train to carry passengers from the suburbs, straight into the heart of Tokyo - in comfort and style. The 60000 Series is not an articulated train like the previous 50000 Series. It uses standard bogies due to subway regulations. 10 car formations can be split into six and four cars, each with a walk-through end car on one end and a slant-nose end car on the other. Being designed for subway usage, all 60000 Series end cars all have emergency escape doors. Like most other Romance Cars, the MSE received the Blue Ribbon Award, a prestigious annual award given to the most significant train design of the year. It has also received a Good Design award from the Japan Institute of Design Promotion.